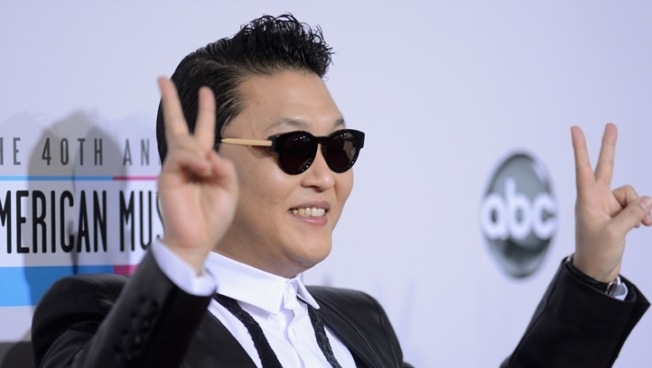 Viral sensation Psy goes Hollywood. The LA Times reports that Psy, otherwise known as Park Jae-Sang, the South Korean pop star who was made famous by his viral "Gangham Style" video, put down $1.249 million for a place in a 1989 building in Westwood with his wife Hye-yeon Yoo. Looks like that's what one billion YouTube views will buy you. The residence sold for $950,000 in 1999. The condo includes sights of Beverly Hills, which is just adjacent to Westwood, high ceilings, a den, a balcony, two bedrooms, and 2.5 bathrooms. The complex has a saltwater swimming pool, tennis court and gym, plus a doorman and concierge services. Maybe that means Psy doesn't dislike the states, after all.